Researchers found a chain of underwater volcanoes 400 kilometers (250 miles) east of Tasmania. Credit: CSIRO. Completely by chance, researchers have come across a striking underwater chain of volcanoes rising amid the deep ocean. The ancient, extinct volcanoes tower 3 kilometers (1.9 miles) above the ocean floor, but, despite their massive size, they’ve stayed concealed from our prying eyes due to a 2 km-thick (1.2-mile) layer of water. Researchers think that this diverse landscape is a perfect breeding ground for all sorts of lifeforms, likely hosting an array of yet-undescribed new species. 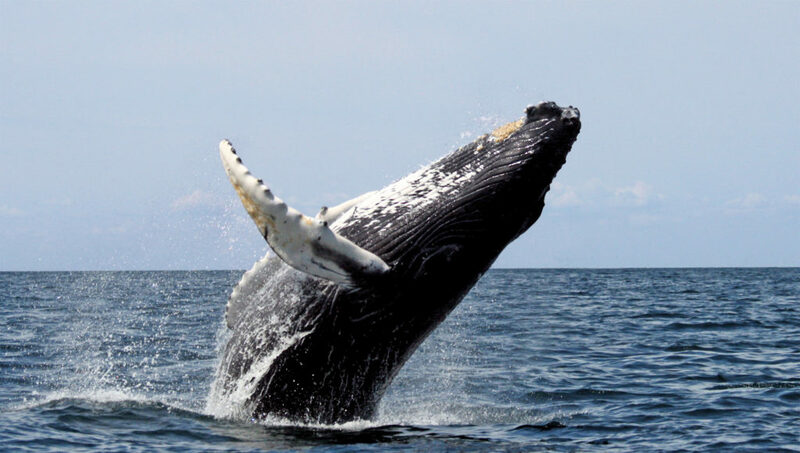 The seamounts may also act as ‘signposts’ on the migratory highway for humpback whales that move from their winter breeding to summer feeding grounds. These seamounts are likely the geological remnants of the ancient split off between Australia, Australia, and Tasmania, which took place about 30 million years ago. Australian researchers at the Commonwealth Scientific and Industrial Research Organisation (CSIRO) and the Australian National University were responsible for the discovery. The team’s research vessel Investigator was busy monitoring nutrient and phytoplankton levels in the East Australian Current when the ship’s sonar detected unusual contours beneath the ocean, 250 miles (400 kilometers) east of Tasmania. “While we were over the chain of seamounts, the ship was visited by large numbers of humpback and long-finned pilot whales,” said Dr. Eric Woehler from BirdLife Tasmania, who was on the Investigator with a team surveying seabirds and marine mammals. Investigator will return to the region for two more research voyages in November and December. During these times, they will use deep water cameras to film marine life living on the seamounts. They will also collect rock samples in order to gain a better understanding of the region’s geological origin and evolution. “We expect that these seamounts will be a biological hotspot year round, and the summer visit will give us another opportunity to uncover the mysteries of the marine life they support,” said Dr. Woehler.